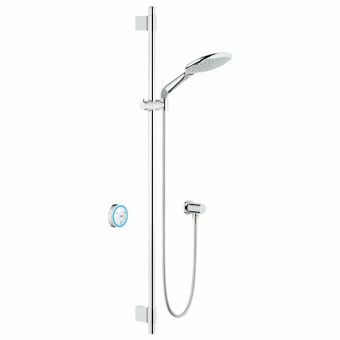 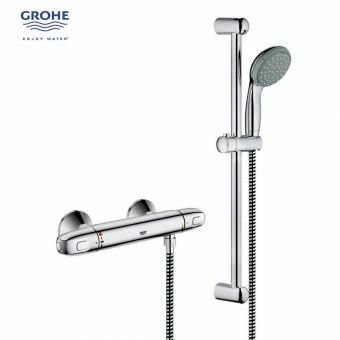 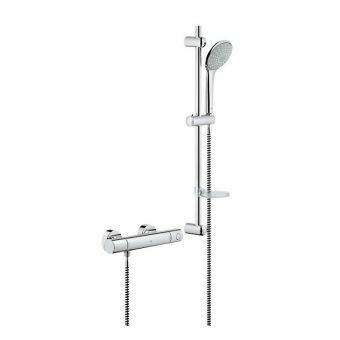 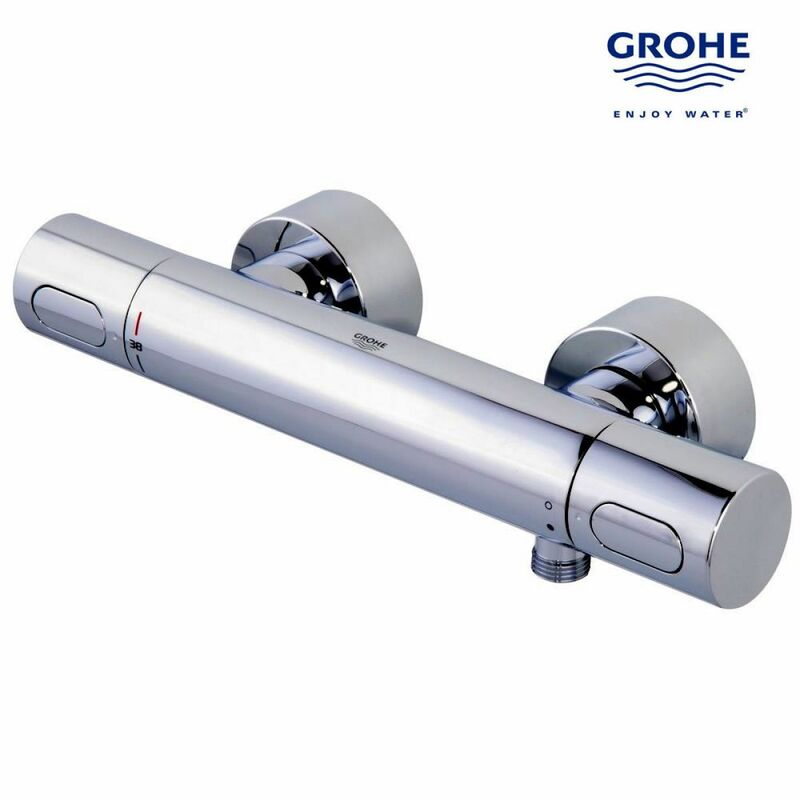 The best ideas are usually the simplest, and the Grohe G3000 Cosmo Exposed Shower Mixer is so exquisitely simple in its design and ease of use it makes for a tactile, beautiful piece in its own right. 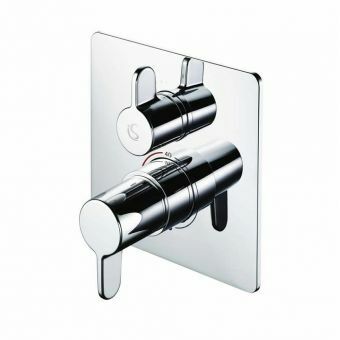 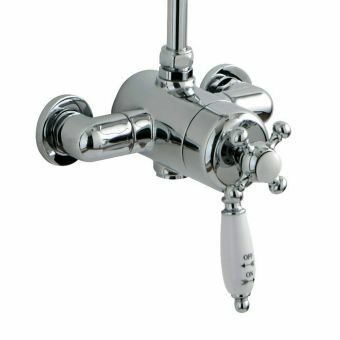 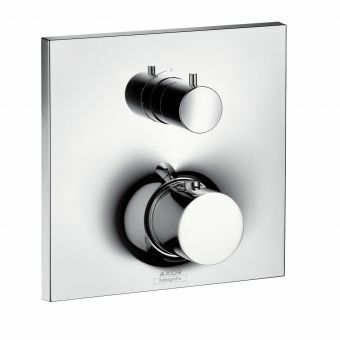 Its theme of circular construction places two cylindrical control valves onto a circular wall plate, all finished in the gleaming and corrosion-resistant StarLight chrome plating. 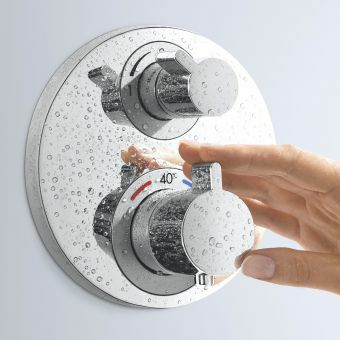 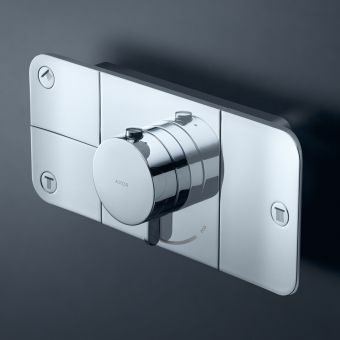 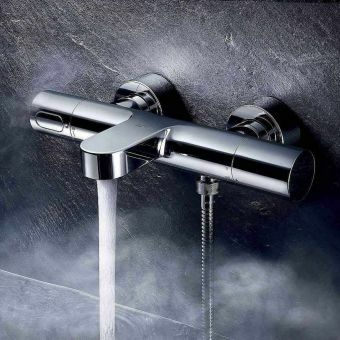 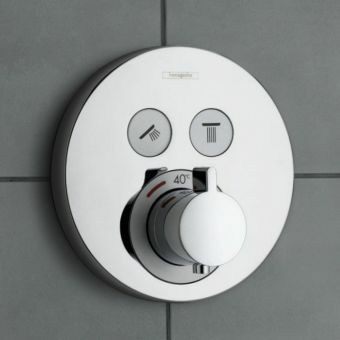 Efficiency is coupled with functionality, as a useful eco-switch cuts water consumption by half, allowing for a shower time that is not only luxurious and enjoyable, but lessens the impact on the environment and your outgoings. 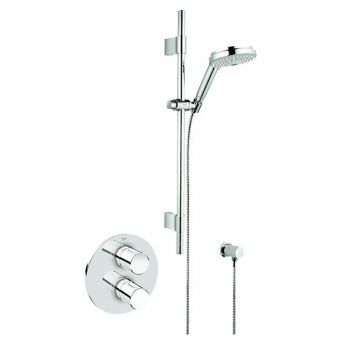 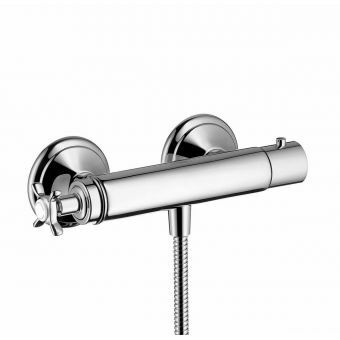 Please note that this shower mixer is suitable only for use with systems operating above 1 bar of water pressure.